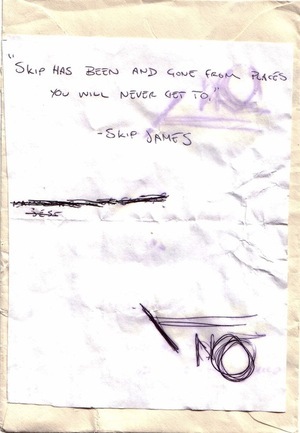 Inimitable quote from Skip James, American blues musician from the 1930s. 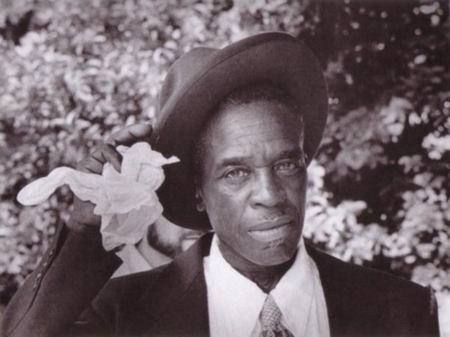 I'm a big fan of James; his heartbroken open D-minor guitar style and strangely serene falsetto made for some of the starkest blues music ever put to record. Sheesh, that voice. I've never heard a voice so lonesome, so sunless - each sigh, each murmur sounds to me as if it were emanating from a deep, dark well. In other news, I ran 26.2 miles in the rain yesterday. Legs are feeling inside-out and goddamn alive.